To compare the size of the Solar System to the size of our galaxy, the Milky Way, one needs to define the boundaries of the Solar System. Does it extend to the outer most planet (Neptune or Pluto – take your pick)? Or, does it reach to the Kuiper Belt, or how about the heliopause, the edge of the heliosphere that separates our solar system from interstellar space, or the Oort Cloud, where the long period comets are believed to come from? 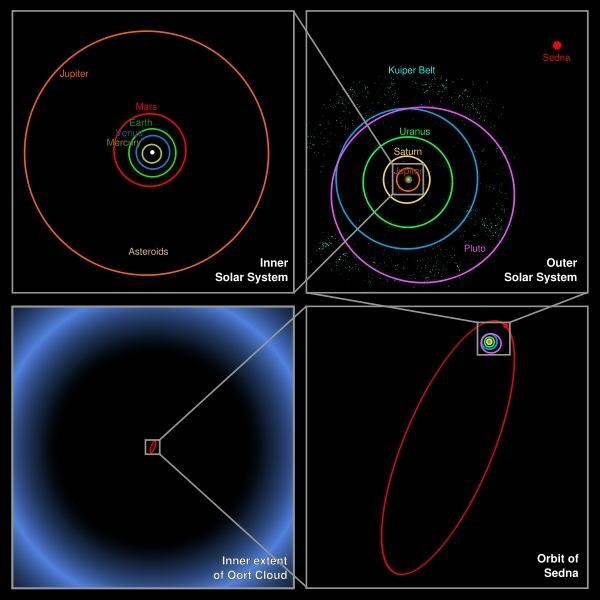 For the sake of discussion I will use the size of the Oort Cloud (3.2 ly), which NASA terms the end of the Sun’s physical and gravitational influence for the size of the Solar System. It’s interesting to note that the closest star to our Solar System, Proxima Centauri is 4.3 ly distant. Not much further than the Oort Cloud in distance. 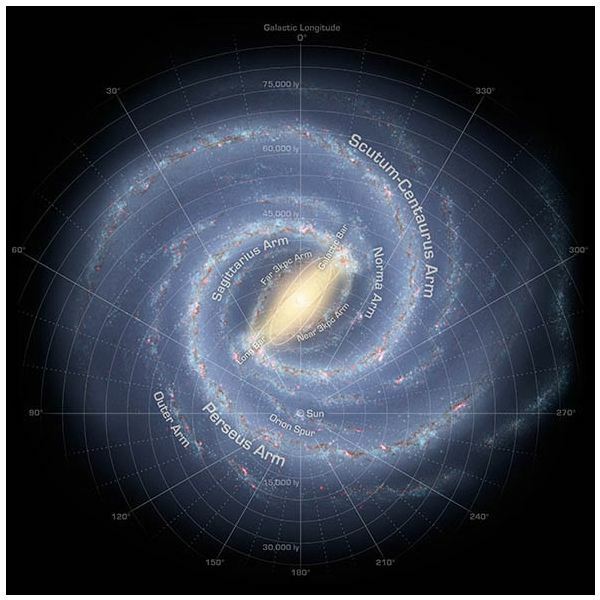 How Big Is Our Galaxy – The Milky Way? Now we need to get a number for the size of our island universe—the Milky Way. We didn’t really start to get a feel for how big the cosmos was until the 1920’s when Hubble’s research revealed that the nebula we thought were inside our “island universe" were actually galaxies of stars outside of our galaxy. Our universe expanded tremendously with that discovery. The generally agreed upon number for the diameter of our galaxy is 100,000 ly. There is some uncertainty because we can’t get a clear view of the galaxy from end to end due to intervening dust and gas. How Does The Solar System Compare To Our Galaxy? Well, from the preceding you can easily see that the Solar System is minuscule compared to the Milky Way. • The Solar System is .0032% the size of the Milky Way. • Traveling at the speed of light you could cross the solar system from edge to edge (3.2 ly) in 3.2 years. • It would take 100,000 years to cross the Milky Way at the speed of light. Just to gain another reference point, our nearest spiral galaxy, the Andromeda galaxy (M31) is 2.4 to 2.9 million light years from us, and it is about 250,000 ly in diameter. Very big! But, consider the size of the known Universe—156 billion ly wide! So, size is relative, you can almost always find something that is bigger or smaller. The Solar System is large but relative to our galaxy it is very small. Looking on a smaller scale, we humans are challenged just to travel a few hundred miles to get into orbit, and even more so to get to our own natural satellite. Will we ever conquer these vast distances and travel to the stars? I think we will, in long time—but that, too, is relative.